The West African Examination Council (WAEC) has confirmed that the candidate of the Peoples Democratic Party (PDP) in the September 22 governorship election in Osun State, Senator Ademola Adeleke sat for the May/June examination of the council in 1981. This is coming as the Nigerian Police Force (NPF) has asked Adeleke and four others to surrender themselves to the police for arraignment over criminal conspiracy, and examination malpractices, among others allegedly committed in 2017. WAEC, in an affidavit deposed to by one Osindeinde Adewunmi and filed at the registry of the Federal Capital Territory (FCT) High Court confirmed that Adeleke sat for the West African School Certificate Examination (WASEC) in May/ June 1981. 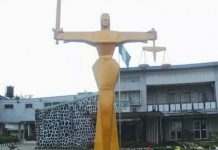 The confirmation was contained in a four paragraph affidavit filed yesterday in compliance with the order of Justice Oathman Musa requesting the examination body to confirm whether the governorship candidate sat for the 1981 examination or not. 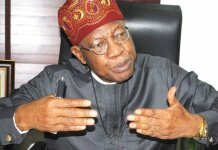 Justice Musa, had in a ruling delivered on September 11, directed that WAEC should depose an affidavit, to either deny or confirm that Adeleke who is currently representing Osun West senatorial district, sat for the examination, the body conducted at Ede Muslim High School in Ede, Osun State, in 1981. 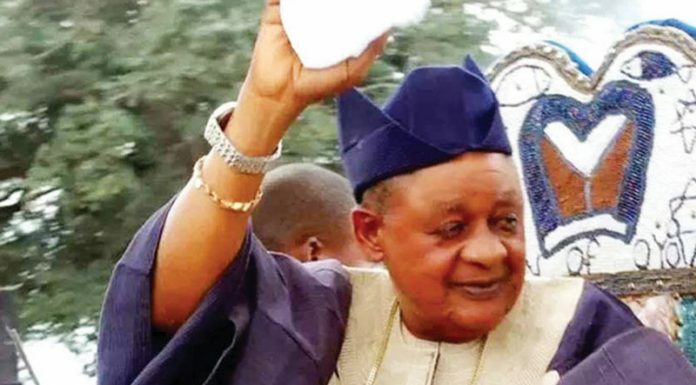 It equally said the examination body should file the ledger containing the results of Adeleke and his mates with whom he sat for the examinations, as well the verifying affidavit, within five days of being served with the enrolled order dated September 11. WAEC however, in the sworn affidavit confirmed that, Adeleke with centre number 19645 and candidate number 149 indeed sat for the Senior Secondary School Certificate Examination in May/June 1981 conducted by the council at Ede Muslim School situate at PO Box 6, Yidi Road, Ede, Osun State. He attached the affidavit with a ledger containing the result of all candidates (001-221) who sat for the Senior Secondary School Certificate Examination in the said school. The certified true copy of the ledger which is marked as exhibit WA1, however, showed that Senator Adeleke, sat for only English Language in the examination. Adeleke was dragged before an Abuja High Court by two chieftains of the All Progressives Congress (APC), Wahab Adekunle Raheem and Adam Omosalewa Habeeb, over alleged certificate forgery. The plaintiffs in an exparte application argued by their counsel, Bankole Joel Akomolafe, on Sept 11 claimed that the PDP candidate did not sit for the WAEC examination in 1981 because the Senior Secondary School Certificate Examination had not been introduced in the country as at then. But delivering ruling on the exparte application, the judge ordered Adeleke to appear before the court on September 19, to show cause why he should not be disqualified from participating in Saturday’s gubernatorial election. However, hearing of the suit yesterday, could not go on as the presiding judge, Justice Musa was said to have gone on an official assignment. The matter was therefore adjourned till next week Tuesday for continuation of hearing. However, counsel to Adeleke, Nathaniel Oke (SAN), while reacting to the findings of WAEC at the court premises told journalists that the case of the plaintiffs had died. He further expressed happiness with the finding, adding that it will enable his client to comfortably participate in Saturday’s election in Osun State. Meanwhile, the Nigerian Police Force (NPF) has asked Adeleke and four others to surrender themselves to the police for arraignment over criminal conspiracy, and examination malpractices, among others allegedly committed in 2017. The invitation, which was contained in a statement yesterday by the Force Public Relations Officer (FPRO), Deputy Commissioner of Police (DCP) Jimoh Moshood, said they should report to the Special Investigation Panel, Force Headquarters, Abuja with immediate effect. Adeleke is being accused alongside, Sikiru Adeleke, Alhaji Aregbesola Mufutau, Gbadamosi Thomas Ojo and Dare Olutope of examination malpractice, criminal conspiracy, impersonation, breach of duty, aiding and abetting. 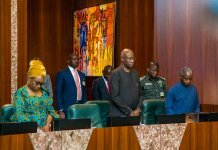 According to the statement, the police had in July 2017 arrested them over the said allegations and after investigation had filed charges against them at the Federal High Court Abuja. “On July 21, 2017, the Osun State Police Intelligence Bureau (SIB) received and acted on an actionable intelligence about an ongoing examination malpractice involving Senator Ademola Adeleke and Sikiru Adeleke at OJO/Aro Community Grammar School in Osun state. Moshood added that while the Principal of the school, the staff responsible for registration and a teacher were arrested on July 21, 2017, Senator Adeleke and his brother were arrested on July 27 and August 8, 2017 respectively. 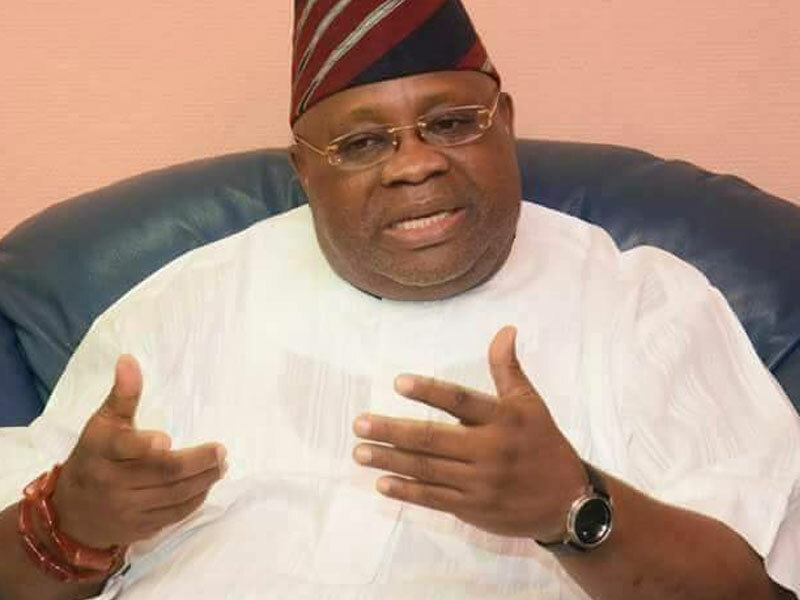 The Force PRO added that Adeleke made cautionary statement and admitted that he registered for the 2017 NECO examinations as an internal student in the said school but he didn’t sit for the examination, saying that the investigation had revealed their culpability, following which they will now be arraigned before the court. The charges read, “Senator Ademola Adeleke and four others were arrested, investigated, granted bail and being charged to court. Charges of Examination Malpractice, Criminal Conspiracy, impersonation, breach of duty, aiding and abetting against Senator Ademola Adeleke (PDP governorship aspirant in the September 22, 2018 Gubernatorial Election in Osun State) and four (4) others namely; Mr. Sikiru Adeleke, Alhaji Aregbesola Mufutau (Principal of Ojo-Aro Community Grammar School, Egbedore LGA, Osun State), Mr Gbadamosi Thomas Ojo (School Staff responsible for the registration of candidates for NECO), Mr Dare Olutope (School Teacher who facilitated the commission of the crime) have been filed at the Federal High Court, Abuja under the Examination Malpractice Act, CAP E15, 2004 today, September 19, 2018. Ten persons have been reportedly killed at a graduation party organised by a student of the Edo State-owned Ambrose Alli University, (AAU) Ekpoma. The ugly incident occurred on Tuesday night at Ekpoma, headquarters of Esan West Local Government Area of Edo State. The incident is also coming few days to the 29th memorial remembrance of a former Governor of old Bendel State, now Edo and Delta States, Prof. Ambrose Alli, who is the founder of the university. The dead, according to information, include a female corps member, and three former students of the university invited to the party, while others were those who just concluded their final examinations. Among the dead was a final year medical student known as Dr. Chibudum Eistein and son of a former chairman of the local government council. The source said the victims were shot dead by a student and his friends who earlier fought with another student over a girl. It was gathered that the suspect angrily walked out of the party after his shirt got torn but returned with his friends and shot seven persons dead. Upon receiving information about the killings, friends of the runaway student were said to have organised a reprisal attack where three of those who launched the first attack were gunned down. A Professor in the university who pleaded anonymity confirmed the incident but said it happened outside the campus. The university spokesman, Edward Aihevba, did one pick calls made to his cell phone. However, the Edo State Police Command confirmed the killings. The police command Public Relations officer, DSP Chidi Nwabuzo, described the incident as a cult-related matter. He disclosed that some suspects have been arrested in connection with the killings, while investigation was ongoing to unravel those behind it.